Cheap flights to South Africa: Johannesburg for only €407! Qatar Airways now offer cheap flights to South Africa! 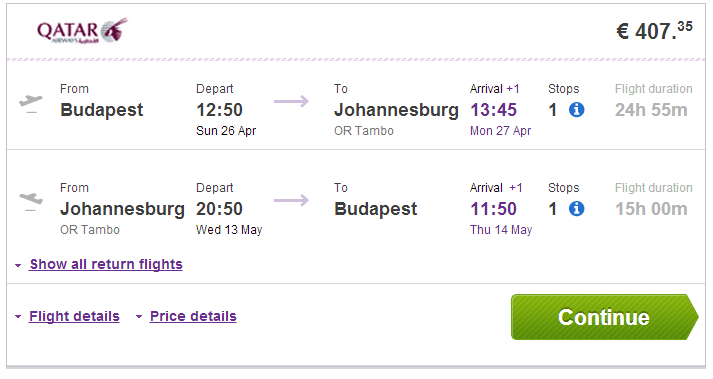 Return ticket from Budapest to Johannesburg will cost you only €407. Travel dates are from April to June 2015. Book via Vayama for best price or directly via Qatar for €412. « WOW! Very cheap flights to Hawaii: Honolulu for only €561!